Since 2018 is predicted to be a slower year for car sales, dealers are pulling out all the stops to get you into the showroom. Presidents’ weekend is usually a big time for car buying, but some of these so-called deals don’t really offer the yuuuge savings you would expect. Our friends at CarsDirect.com ran the numbers on some nationally advertised deals in anticipation of the Presidents weekend car buying bonanza and found that a few of them aren’t quite as good as they seem. Here are a few examples via Senior Pricing Analyst, Alex Bernstein. First up is the Ford Fiesta lease for only $199 per month, which seems pretty decent for a cheap car, but when you look at the deals on other Ford products the picture changes. The 2018 Focus SEL is listed at $189 for 36 months with $1,899 at signing, an effective cost of $242/month. But your upgrade options don’t end there. For $4 more than the Fiesta, you can get behind the wheel of a spacious new Fusion SE with Tech Package that has an MSRP of $24,670. It’s listed at just $189 for 36 months with $1,999 at signing. It’s effective cost? $245/month. That’s $4 more to lease a car that’s $7,510 more expensive. Next up is the Nissan Rogue which Nissan says you can get up to $3,000 off before any additional dealer discounts, but as always the devil is in the details. That’s because the offer is only good with the Midnight Edition Package which has an MSRP of $28,090 and is only available in three colors: white, grey and black. It features a built-in discount worth $780. Nissan is also assuming you’ll be eligible for a $500 bonus for financing through Nissan Motor Acceptance Corp (NMAC). However, this requires taking out a loan at non-promotional rates. Not keen on financing or spending $28,000 on a special edition? In that case, you’ll only be eligible for $1,750. That’s a 42% difference from the advertised savings amount. To get to $11,856, RAM is making a bunch of assumptions. To start, that amount only applies to 2018 Big Horn models when choosing one with a Crew Cab configuration. For reference, that’s a vehicle with an MSRP over $41,000. That said, our analysis shows that the style in question is only eligible for $5,750, even when including $1,500 in bonuses you can only get when taking out a loan through Chrysler Capital. So what about the missing $6,106? The fine print says it’s assuming an average dealer discount based on a survey of nationwide prices. So is it a guarantee that your local dealer will give you $6,106 to take a Big Horn off their lot? 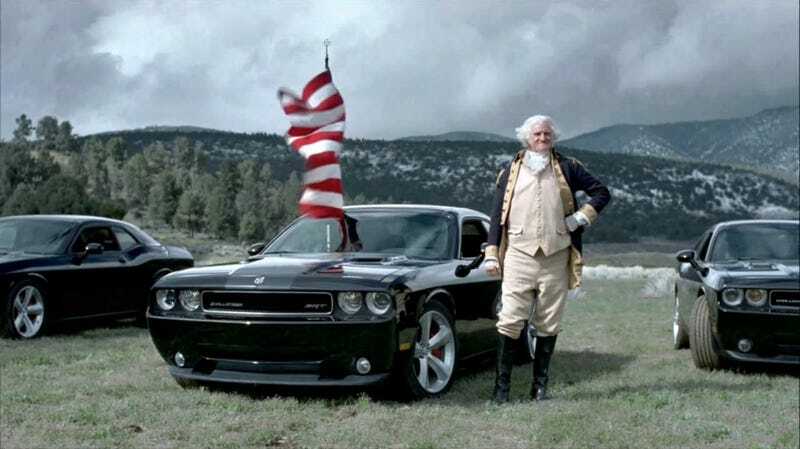 The reality of Presidents’ Day car sales is that this holiday is no different than any other major holiday where automakers and dealers try to capitalize on a day off to boost their sales. What most people don’t realize is that these sales run through the entire month, not just one weekend. So if you happen to be in the market for a car, take your time, do your research, compare quotes before you arrive and use some critical thinking skills before you get hooked into the dealership by some advertisement.